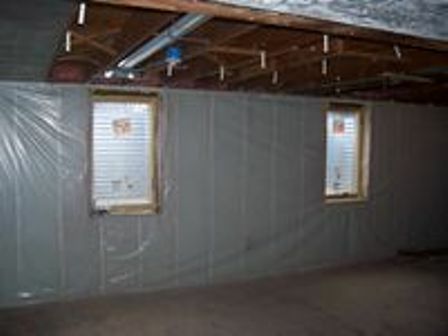 Start by installing Egress/Basement Escape Windows in your basement! 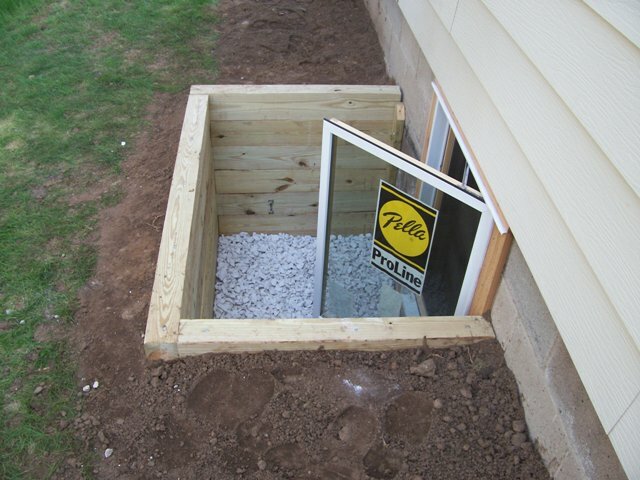 Egress windows increase light and livability in your basement and substantially increase the value of your home! According to a 4-year study by the National Fire Protection Association, an average of 130 people were killed and 940 injured in below-grade residential fires each year and an average of 18,200 fires a year were reported in lower level living areas during the time period studied. WHAT ARE SIZE REQUIREMENTS FOR AN EGRESS WINDOW? The window must have a minimum net clear opening of 5.7 sq. ft. Net clear opening refers to the actual free and clear space that exists when the window is open. It is not the rough opening size or the glass panel size, but the actual opening a person can crawl through. The window opening must be operational from the inside without keys or tools. Bars, grilles and grates may be installed over windows but must be operational without tools or keys and still allow the minimum clear opening. You might assume that a 20-in. by 24-in. window would be acceptable for egress. However, those dimensions would yield a net clear opening of only 3.3 sq. ft. To achieve the required net clear opening of 5.7 sq. ft., a 20-in. wide window would have to be 42 in. high. Likewise, a 24-in. high window would have to be 34 in. wide. MUST I USE A SPECIAL TYPE OF WINDOW? WHY DON’T MY WINDOWS MEET EGRESS REQUIREMENTS? Some older homes were built before there were any egress window requirements. Many more homes were built when the egress window net free opening size was 5 sq. ft. Yet even newer homes often lack proper egress windows. Attics and basements were often legally remodeled into family rooms or offices (which didn't require egress windows) then later converted into bedrooms (which now do require them). When bedrooms are added to basements without the knowledge of inspectors and without the requisite egress window, they create a dangerous underground firetrap. During remodeling, homeowners often unwittingly replace large egress windows with smaller, non-egress windows. And while the code will require egress windows be installed when bedrooms are added on, they won't necessarily dictate that windows in existing bedrooms be enlarged to egress size; it's simply too difficult to monitor every situation. 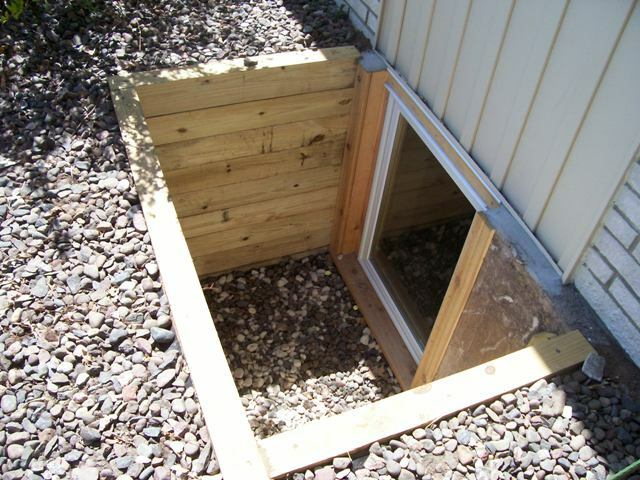 Besides the height, width and overall square-footage requirements that the basement egress window must meet, there are certain requirements for the window well surrounding the window. Allow the rescue window opening to be fully opened. Provide 9 sq. ft. of "floor area," with a minimum dimension of 36 in. in width and in length. Contain a permanently affixed ladder or steps for climbing out if the window well depth exceeds 44 inches in depth. The ladder must be at least 12 in. wide and project no less than 3 in. from the window well. 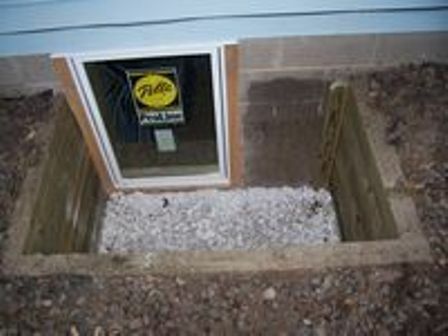 It can't be obstructed by the open window or encroach on the required window well dimensions by more than 6 in. 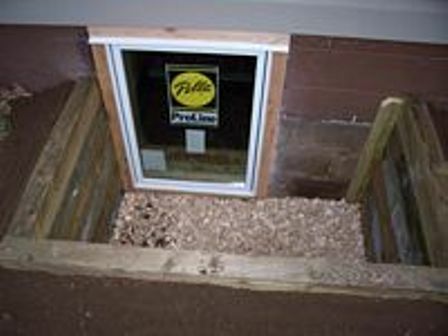 If an egress window is located under a deck or porch, the code requires at least 48 inches between the top of the window well and the bottom of the deck or porch joists. If you're replacing a smaller window with a larger one that meets egress requirements, bear in mind that enlarging the height of the opening takes less structural work than enlarging the width. Increasing width might mean installing a larger, beefier horizontal structural header over the window opening - a major project. Increasing height is often only a matter of lowering the height of the sill below the window. If you are replacing windows in your home, there are some circumstances whereby you may need to comply with the requirements for egress windows. Egress/Basement Escape windows are to give you a way out and Firefighters a way in to rescue you and your loved ones! Call to have an Egress window installed NOW! 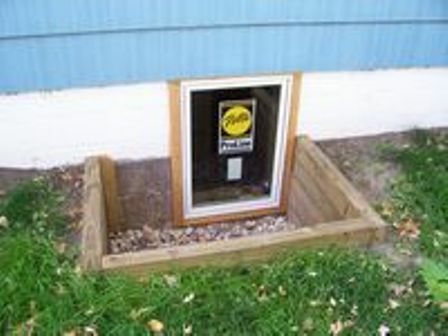 An Egress window is a window that is required in specific locations in a dwelling and must meet specific size requirements to qualify as an egress window. It is intended to provide an emergency means of exiting a dwelling. 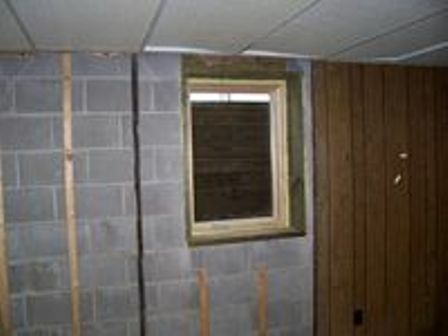 Safety codes require egress windows in bedrooms or habitable space in the basement. Q. 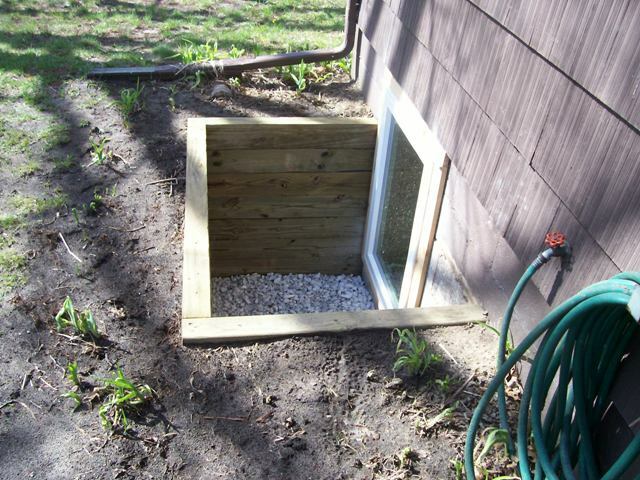 How long does it usually take to install an egress/basement escape window? A. Standard installation is usually one day, depending on soil type and window style. Q. What type of window well will be used? A. 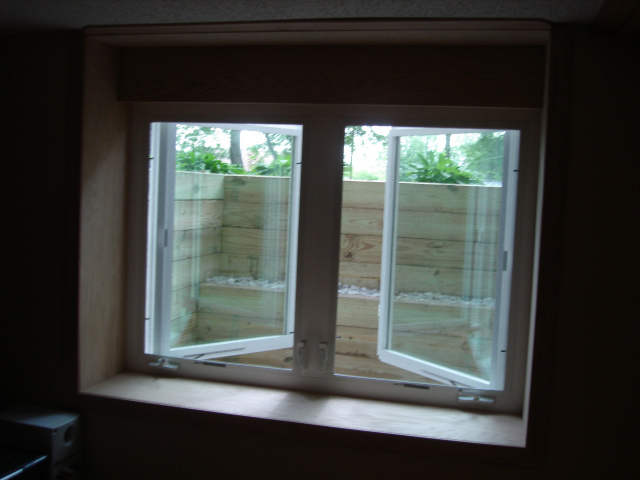 We typically custom build each window well with lumber specially treated forground contact. Q. Why would a wood window well be better? A. It would be better because it would increase flexibility to construct the window well to get maximum light and accessibility for your basement. Q. Can this installation be done in the winter? A. Yes, we install egress year round. Q. Can an egress/basement escape window be installed in a block wall where there is no existing window? A. It requires more work but it is definitely possible!